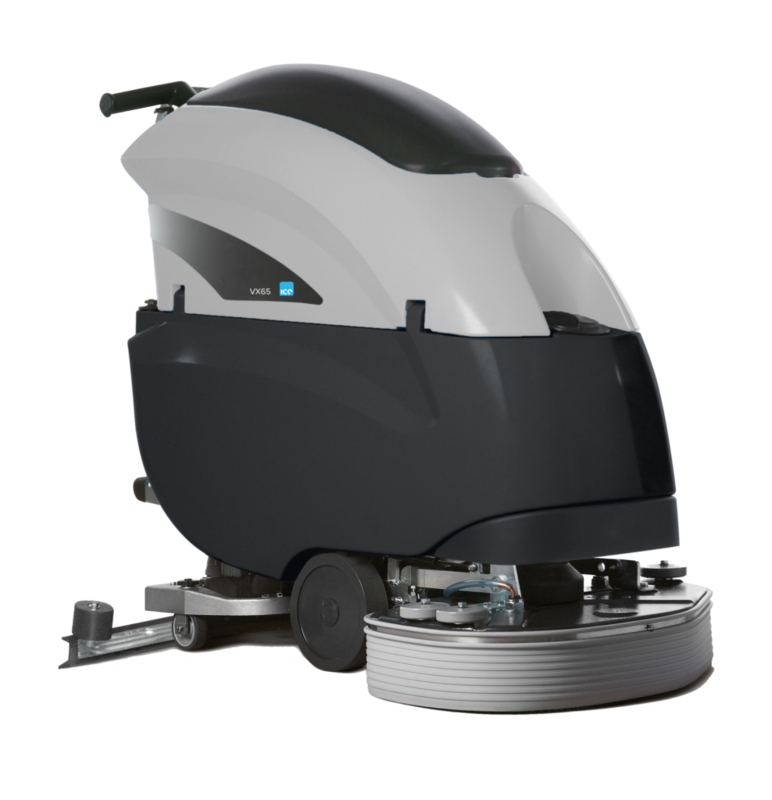 The VX65 is ideal for the maintenance and deep cleaning of medium-sized areas. It is equipped with 60 litre tanks, and has a working autonomy of up to 3 hours. The VX65 has a low noise level of just 58 decibels, meaning it can be used in noise-sensitive environments. It also has automatic traction drive.